The UK wants to see Rio+20 drive action on Sustainable Development Goals. The UK will be a driving force in pressing for new goals to help the world embrace a greener and more sustainable economy at this summer’s major UN conference in Brazil, Environment Secretary Caroline Spelman pledged today. In a speech setting out the UK ambitions for Rio+20, in June, Mrs Spelman said the UK will work with Colombia and others to develop and drive forward the proposal for new Sustainable Development Goals (SDGs). SDGs are expected to guide and galvanise international and domestic efforts on major sustainability issues, such as food security, water, and access to sustainable energy. In a move to give greater prominence to valuing nature, the UK will also be seeking agreement to move away from using GDP as the sole indicator of progress in government accounts. The proposal, known as GDP+, would encourage countries to also measure and account for the value of their natural resources and the social wellbeing of their people. “Our economic and environmental security relies on ambitious outcomes from Rio+20. Rio+20 has to be a workshop not a talking shop. The UK will also be calling for Governments to reach an agreement on GDP+. The UK is already leading the way in this area through initiatives such as the Prime Minister’s work to assess wellbeing, the Natural Capital Committee that has been set up to take stock of our natural resources, and the work of the Office of National Statistics to embed natural capital into UK environmental accounts by 2020. We will be sharing this expertise with other nations at Rio. The Rio+20 United Nations Conference on Sustainable Development will take place from June 20-22 in Rio de Janeiro, Brazil. The conference marks 20 years from the original Earth Summit held in Rio de Janeiro in 1992. More information about the conference can be found here http://www.uncsd2012.org/rio20/. 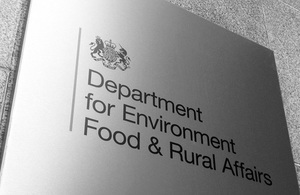 Further details on the UK’s aims and ambitions for Rio+20 can be found on the Defra website: http://www.defra.gov.uk/environment/economy/eu-international/.